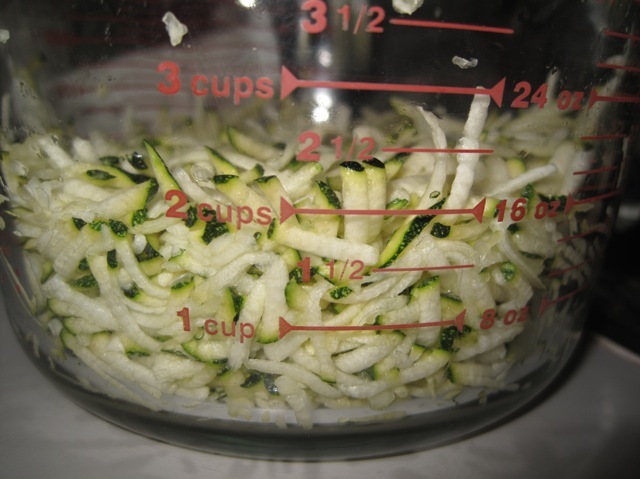 Grate 2 cups of Zucchini and set aside. Cream togehter butter, oil and sugar in large bowl. Add eggs one at a time mixing well after each addition. Add vanilla and mix well. Pour into a 9×13 greased and floured baking pan. 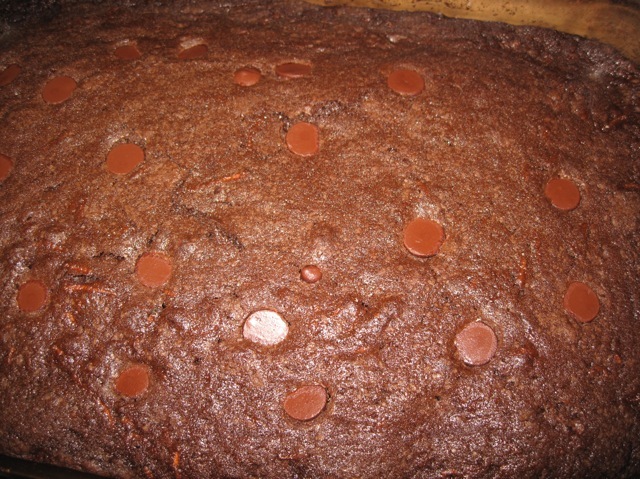 Top with chocolate chips and nuts if desired. Bake at 325°F for about 50 minutes. Test with toothpick for doneness. Preheat oven to 325°F. Butter and flour 13 x 9 x 2-inch baking pan. 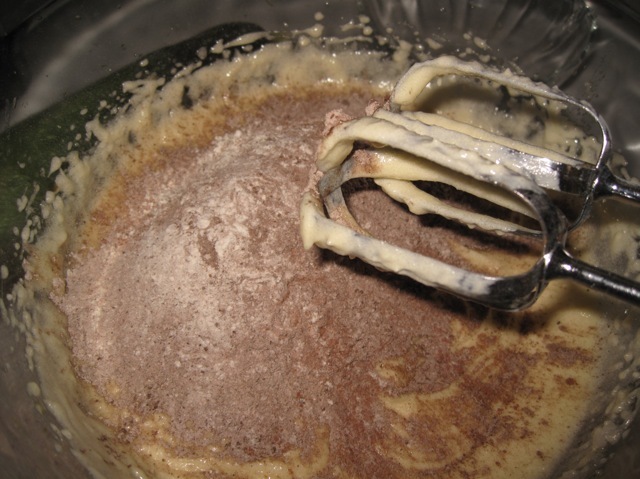 Sift flour, cocoa powder, baking soda and salt into medium bowl. 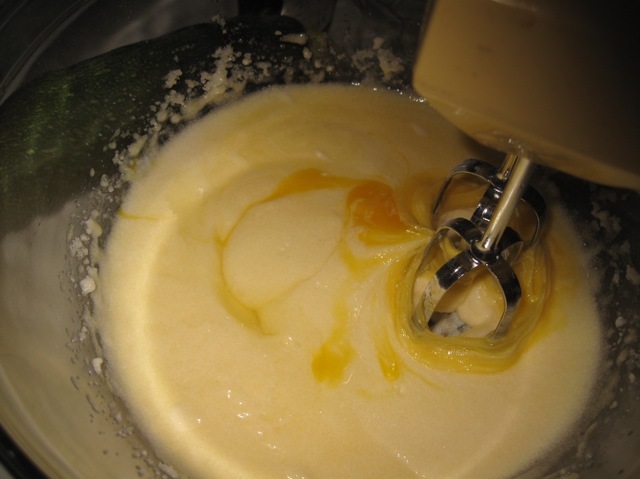 Beat sugar, butter and oil in large bowl until well blended. Add eggs 1 at a time, beating well after each addition. Beat in vanilla extract. 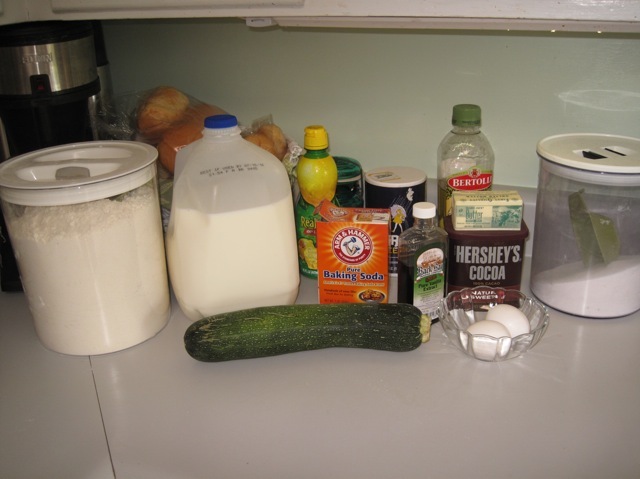 Mix in dry ingredients alternately with buttermilk in 3 additions each. 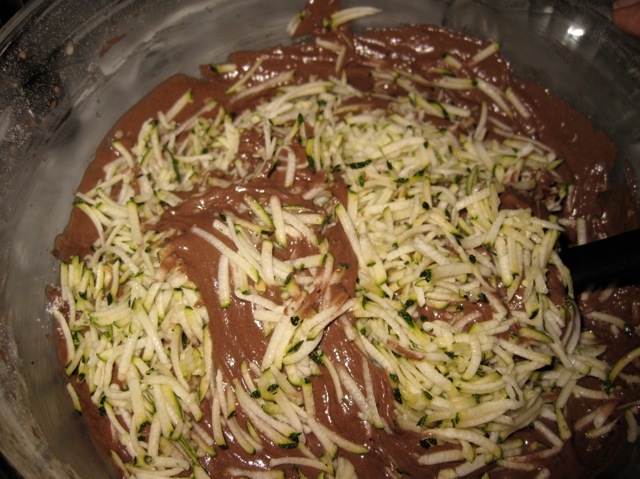 Mix in grated zucchini. Pour batter into prepared pan. If desired Sprinkle chocolate chips and nuts over top. 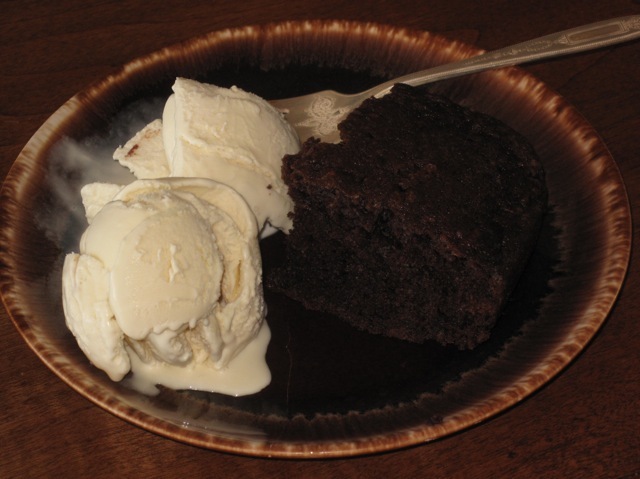 Bake cake at 325°F until tester inserted into center comes out clean, about 50 minutes. Cool cake completely in pan. 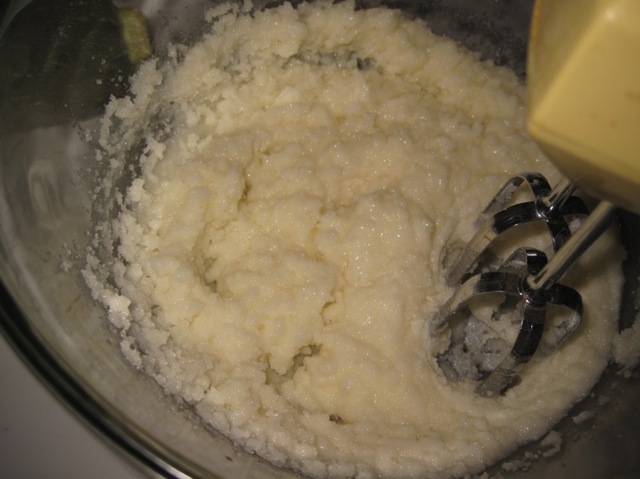 Melt butter in a small saucepan. Add cocoa and remove pan from heat. Stir in remaining ingredients until smooth. 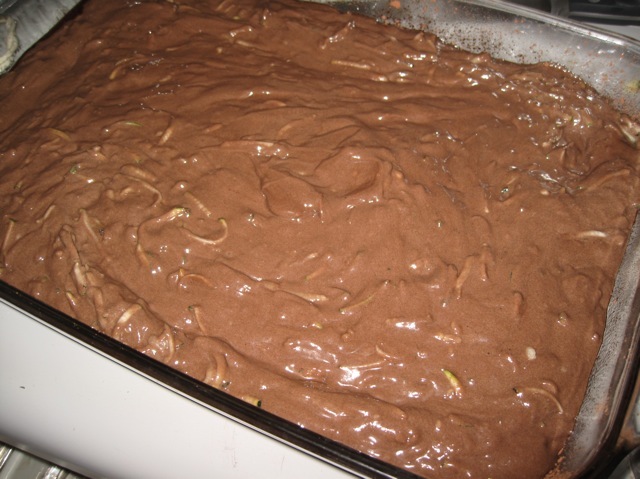 Spread over cooled cake.